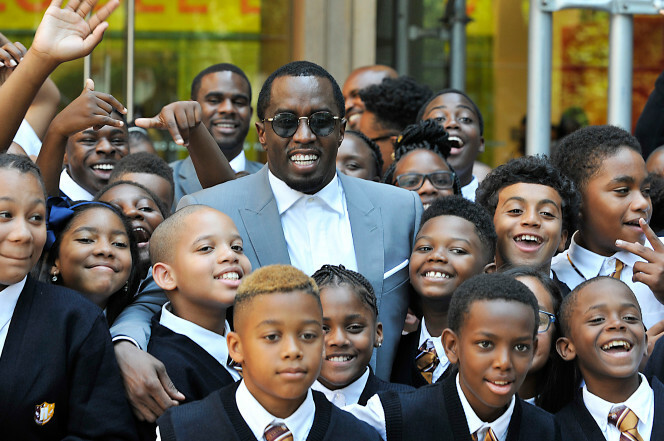 Harlem born music mogul Sean “Diddy” Combs expanded his partnership with Capital Prep charter schools, a network to help underserved communities with a $1 million pledge to increase their educational reach. With this latest financial contribution the school has been approved to expand to a third location in the Bronx. Why This Matters: Capital Prep already has locations in Harlem and Bridgeport, CT. They’re aiming to open more campuses so they can provide more than 2,100 students with access to a higher affirming education. The Bronx charter school location will initially open to 160 students in the 6th and 7th grade. Additionally, the school will grow to serve 650 students from sixth to eleventh grade during an initial five-year term. Capital Prep School's founder Dr. Steve Perry cemented his relationship with Diddy when the Bad Boy boss founded a Capital Prep campus in East Harlem in 2016. It’s modeled after the network's original location in Hartford, CT. In an Instagram video, Diddy who is a longtime education advocate. said "It's about educating our children. Bringing them up as leaders and bringing them up to fight for social justice, preparing them for the word that we live in. Only 1% of Capital Prep Harlem's students scored at grade-level in math exams in the school's first year compared to 27% for the most recent school year, the charter network announced. In 2017, Capital Prep’s Bridgeport school had the highest percent of students to meet Connecticut’s growth goal. What’s Next: Capital Prep said it’s planning additional expansions in the future and it targeted the Bronx due to a pressing need for schooling options in the borough. Even though the location has yet to be selected, it’s slated to open up in September 2019.